In search of a chic Summer look? 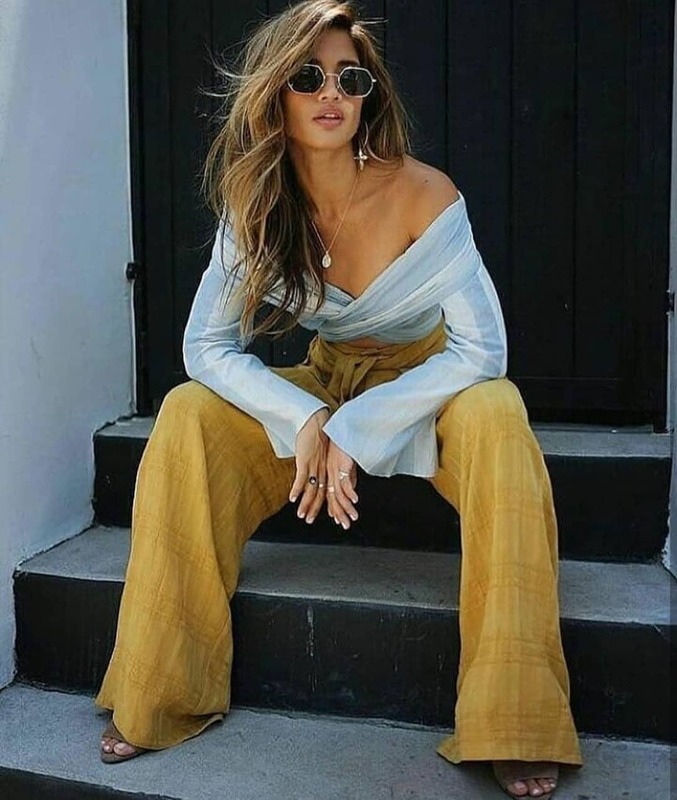 Go for high-rise pastel yellow wide pants. These bottoms will underline your sophistication and individuality. Complete your look with a white strapless top and mirrored rounded sunglasses. By the way, this is an ideal look for your Summer vacation. You can never go wrong with an all-white outfit during Summer months. We see a relaxed white shirt tucked in white wide pants. The outfit is completed with oversized flat brow sunglasses. Victoria Beckham looks sophisticated in this summer look. 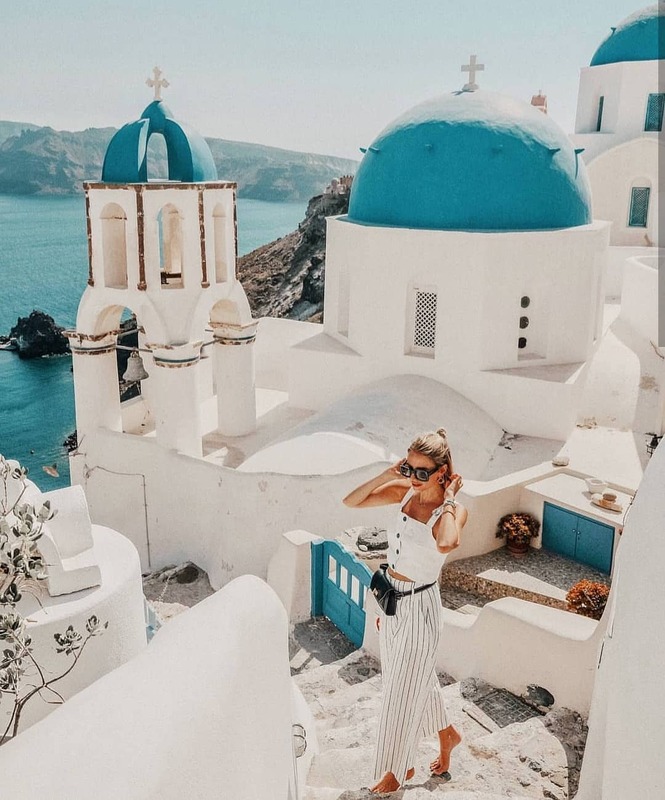 If you do want to wear a relaxed and comfortable outfit during your Summer getaway, then check out this stylish combo for your next Santorini trip. We see a white pinafore short top paired with pinstripe wide ankle pants. Complete this combo by adding oversized sunglasses and a belt bag. Here we see a beautiful OOTD for Summer season months. Go for linen khaki wide pants and team them with an off-shoulder linen shirt in light blue color. 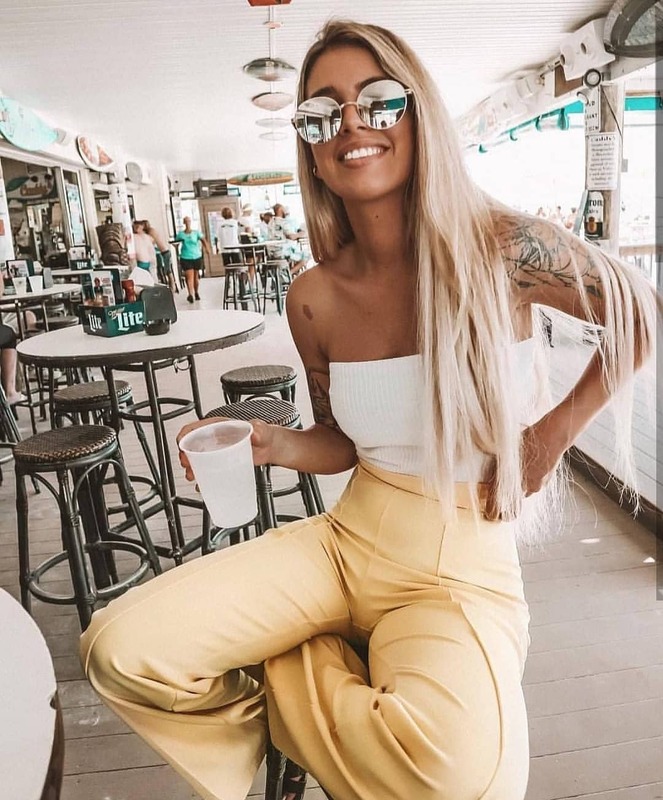 Have a look at this Summer cocktail outfit that can be worn during weekends. We see a spaghetti strap white top tucked in light pink wide pants. Complete this look by adding pearl drop earrings, oversized sunglasses, and white box clutch bag. Would you give it a try? Get inspired by this cool all-white outfit idea. We see a white T-shirt tucked in white wide pants. Complete this look with oversized black sunglasses and black leather shoulder bag. Thinking of wearing super relaxed and Summery chic outfit, go for this simple outfit combination. We see a white T-shirt by Gucci tucked in high-rise belted red pants. In love with its simplicity. The flat brow sunglasses in oversized shape look awesome! It’s time to make a statement this Summer! Go for a white pinstripe blue shirt and team it with high-rise wide linen pants in beige color, or white slim pants. Which one of these outfit combos is your favorite? How about some knitwear in your life? Go for a cream white combination this year. 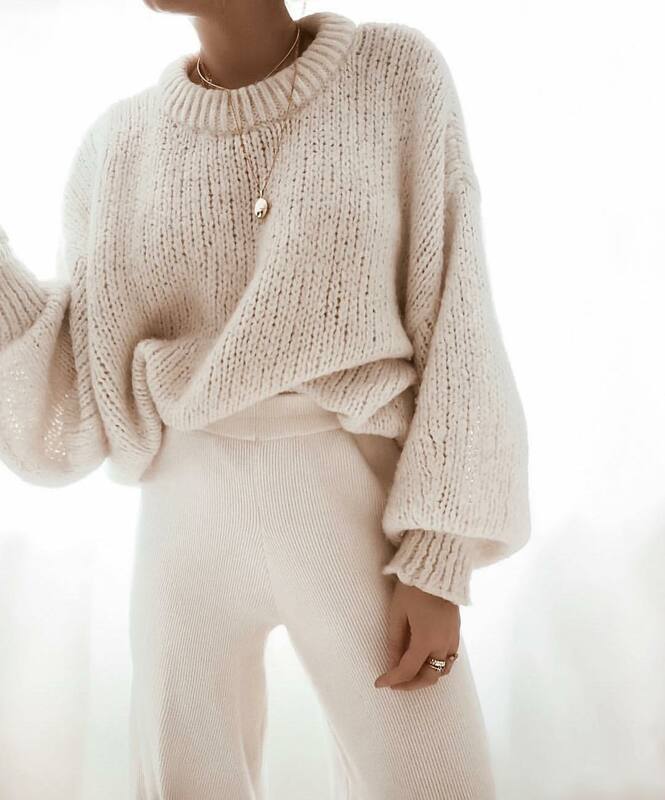 You can try on an oversized sweater in heavy knits and a pair of wide pants. Both pieces look trendy, chic and feminine.